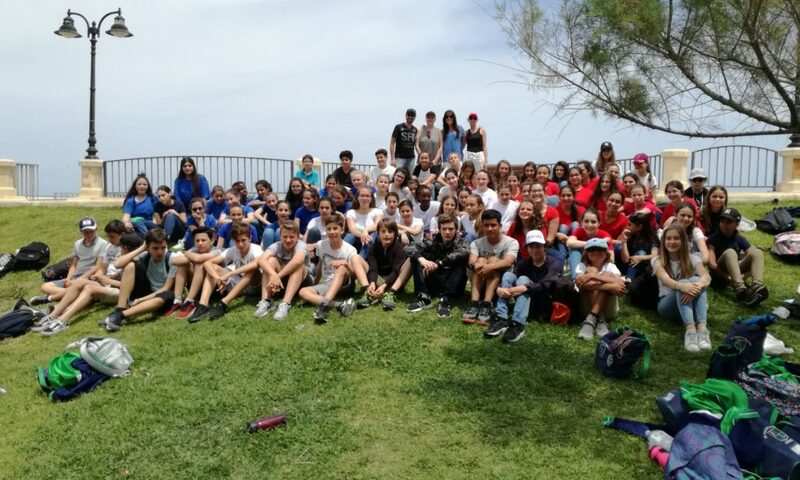 After a year of letter exchange between Malta and France, the pupils from St Joseph School of Sliema and the Institut Stanislas of Cannes met on 16th May 2018. The educational partnership was created seven years ago thanks to the involvement of Mrs Coppini and Mrs Babin-Galissaires, respectively teaching French and English. Mrs Elisabeth du Breil de Pontbriand, Cultural Counsellor at the French Embassy was part of this festive meeting, that the pupils celebrated through songs. 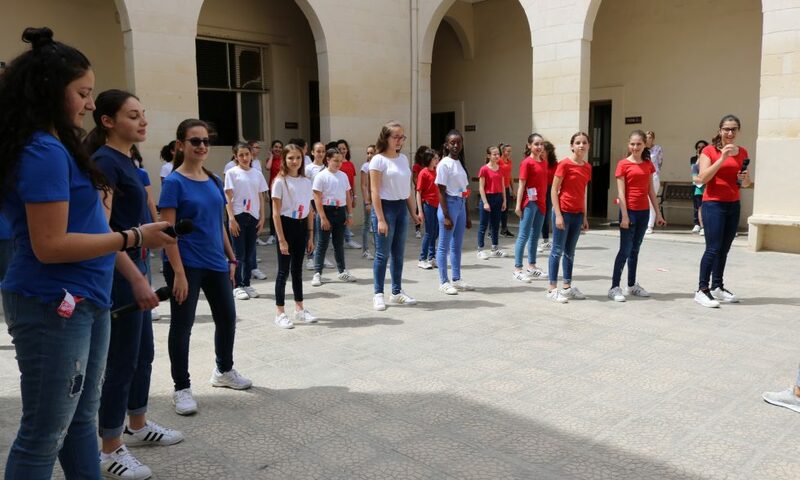 The Embassy seized this occasion to donate French books to St Joseph School of Sliema.